I am a 65 year-old female with fibromyalgia. I have been in pain for years. After taking 6 Omegaxl soft gels a day for two months I was able to walk 2 miles at the gym and babysit for two active children. The majority of my joint and muscle pain was almost gone. After several months of taking these soft gels, there was a lapse in my shipments. Within 3 days all of my symptoms returned. 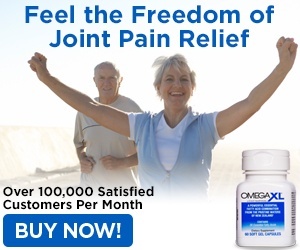 I realize now that I will need to take Omegaxl probably for the rest of my life. I am thinking about taking dancing lessons again! I am so greatful that I found a product that will let me return to my active life. Review #1025398 is a subjective opinion of User1025398.